Brand new design! Handmade! And very very sparkly! 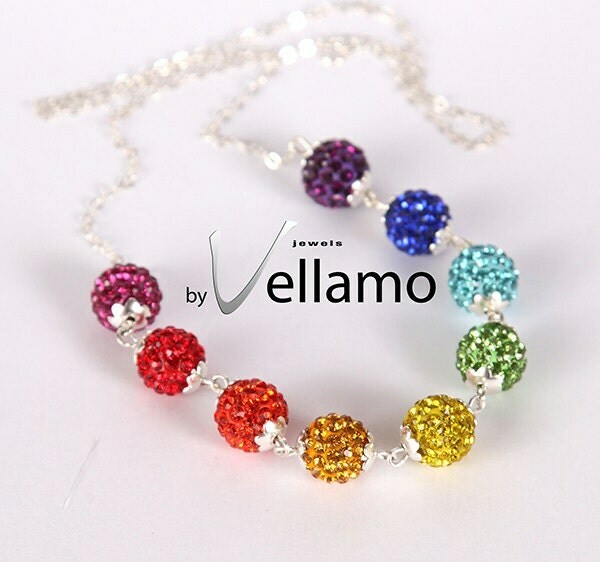 Sterling silver necklace with rainbow Swarovski crystal balls. Brand new on byVellamo! Perfect glam look for the holidays!